Every day more presents, every day more followed. Women football is gaining importance in our society. 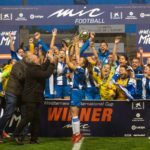 Competitions such as Liga Iberdrola or the women Champions League are increasing audiences and stories of success like the 2nd place in the world champion of the U20 spanish national team reached this summer help the young girls to decide enjoying football not just in the stands, but in the field. At MICFootball we are aware of that. From the beginning we’ve count with one or more women classes. It’s just been 5 times when there weren’t girls playing the MICFootball, but this belongs to the past, nowadays women football is unstoppable. This year’s tournament won’t be an exception and we will keep betting on women football. To begin with, we have this spectacular video which we want to use to make a call to all the girls who love play football. The most special tournament of the world is also yours, and we want you to keep showing it like you’ve done so far. Next Easter the U19-U16 women class will be present. All the girls are welcome to participate in the youth football celebration. 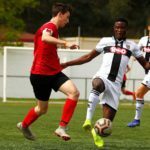 The last two years we have got the same final in Palamós. PSG ladies have won both times Atletico de Madrid in a very equal and dramatic games solved by small details. Join to the party! Sign your team up and live an unforgettable experience.